we have a place for you! 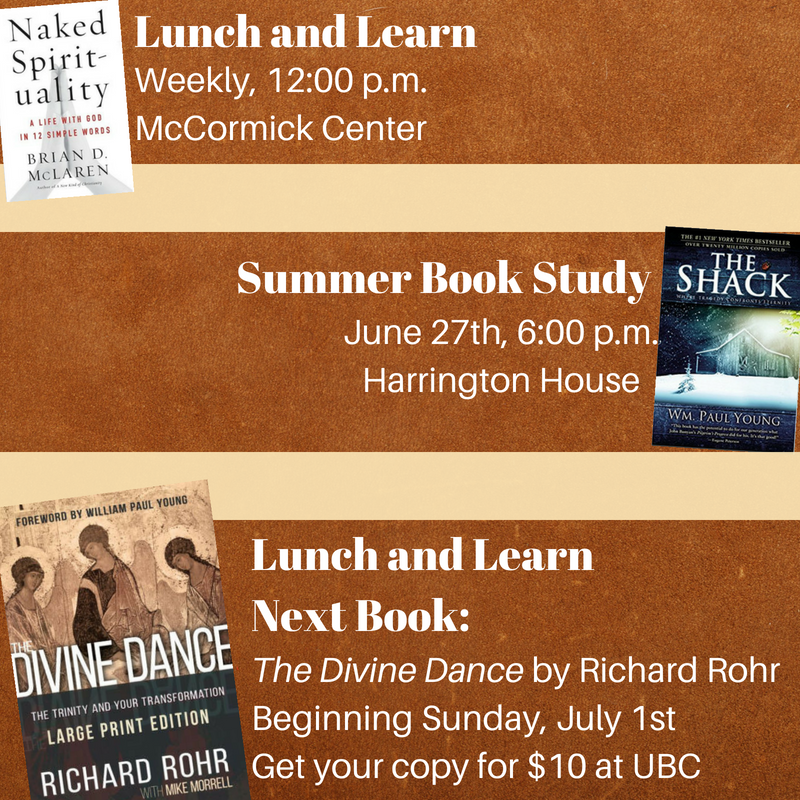 Join UBC as we read through multiple books this summer! College and graduate students are invited to two movie nights to take a break during a stressful time of exams. These times will each include dinner and snacks. The first will be May 6 at 7:30 p.m. in the McCormick Center. The second will take place after LIFE Group on Monday, May 14. Contact john@ubcbaltimore.org for more info! Mark your calendars and prepare your sweet tooth! Our 2018 Strawberry Festival will take place on the Colonnade following Foundation Worship on May 27th. Come and join in the fun! In our world today, it can be difficult to say “Enough” in just about every area of our lives. Almost every time we turn around, we can find ourselves wanting more. And, when it comes to our financial lives, it can be extremely challenging to say, “Enough.” So, this series focuses on how we can handle our finances in a way that honors God – in the midst of a world that is never satisfied. Please join us for the afternoon of April 22 in various activities designed to help celebrate God’s earth. We will be doing spring preparation work on several community gardens and a farm, as well as hosting a few indoor workshops. Dinner will be served that evening, providing an opportunity for people to share what they did that afternoon. For more details and to sign up, go to http://www.signupgenius.com/go/4090a49a4a829a57-churches1. Get outside and enjoy God’s creation! Get READY: Sign up for a LIFE group. We have several throughout the week. Choose one to fit your schedule. 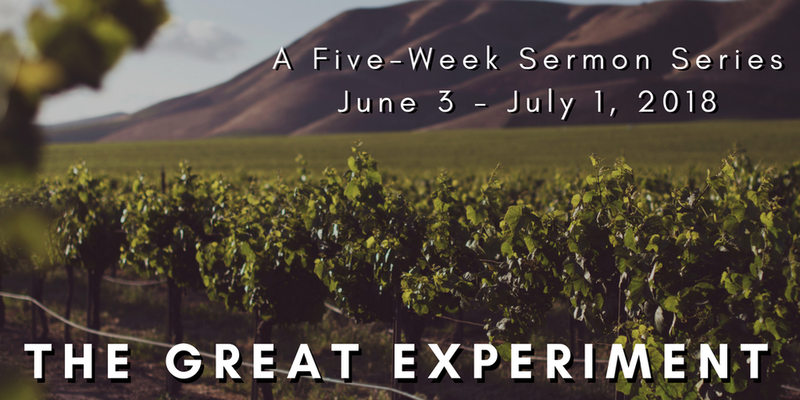 Get SET: Join us for worship each Sunday from April 15th through June 3rd or catch up on the sermon online! Let's GROW: Attend your LIFE group, get connected on a deeper level to people here at UBC, and grow in your faith as you talk about the weeks' sermon topic, life, and faith. Please mark your calendars for a special Senior Celebration that will take place on April 15th immediately following Foundation Worship. Many have asked, “Who is considered a senior?” If you are eligible for AARP benefits, if you have ever muttered the phrase “kids these days,” if you feel like a senior, or if you identify with the word “senior,” you are invited! The pastoral staff will be serving a meal, we will sing some hymns, and we will have a fun time of fellowship together in Heaver Hall. Please join us! Come join in the resurrection celebration! Come remember Good Friday tonight at 7:00 P.M. in Davis Chapel. Join us this evening, March 29th, for a dinner and time of remembrance at 6:00 P.M. in Heaver Hall. The meal (soup and salad) is provided and high chairs are available. All are welcome. After the meal we will move to the front steps for a short remembrance as the cross is prepared for Good Friday. Invite your family and friends and we remember and celebrate together Holy Week and Easter. Join University Baptist Church as we explore prayer together. This sermon series will take place February 25 through March 25. Join the UBC Family for a Potluck Luncheon in Heaver Hall at 12:00 p.m. on February 25, 2018. Please bring food that represents your culture to share with others. Drinks and ham will be provided. During our worship services that morning, an offering will be collected to help support UBC supported missionary, Billy Clark, in Peru. Join the UBC Family in Davis Chapel for our Ash Wednesday Service. This time of worship will begin at 7:00 PM on February 14, 2018 and will end around 7:30 p.m.
All are invited to participate in our Lenten Journey daily devotionals and photo challenge that will begin Ash Wednesday as well. Would you like to get away for a little while this winter? The college and youth ministries of UBC are planning a winter retreat for February 2-3. This trip is for college students, grad students, young adults, and youth (grades 7-12). The Churches of Charles have scheduled 11 separate activities as a way to serve our community this MLK Day. We will be returning to some of our favorites places like Woodberry Crossing and Baltimore Station and doing some of our favorite things like knitting, cooking, carpentry and card making. We have also added a few new activities like cleaning up a basement for Gilead House, a residence for asylum seeking immigrants, cookie making and quilting. A detailed schedule of all the activities can be found on the Day of Service website. Please sign up for the one(s) you wish to attend so that we know how many to expect and have enough supplies, etc. And speaking of supplies, we do need donations of prizes for BINGO, items for Gallons of Love, scrap booking paper and embellishments and yarn. Collection boxes are located under the coat rack at the Garden Entrance at UBC. Written by UBC Communications On January 2, 2018 Tagged Community Service, 2018, MLK Jr.
Come celebrate Christmas with the University Baptist Church family at the Christmas Breakfast between the two worship services on Sunday and the Church-wide Christmas Party! Please join us for UBC's candlelit Christmas Eve Service at 5:30 PM. This traditional Lessons and Carols service tells the story of the fall of humanity, the promise of the Messiah, and the birth of Jesus in nine short scripture readings with Christmas carols and hymns. The singing will be accompanied by UBC's wonderful choir and organ, and all are welcome to attend this family friendly service. University Baptist Church is located in North Central Baltimore across form the Homewood Campus of Johns Hopkins University. We are a Christ-centered congregation in the Baptist tradition, yet many in our fellowship come from a wide variety of backgrounds and faith traditions. We are a warm and welcoming community of Christ-followers who love to worship our Lord, grow together, and serve others.